In simple language, food truck business can be termed as ‘restaurant on wheels’. It is a type of mobile restaurant business in which you have the convenience to go where you feel you have more customers. Your business is just not restricted to one physical location- unlike the physical restaurant. The entire set up for a restaurant is done on board a truck or a similar vehicle. As it is mobile so you are free to travel to any destination and park it to do your business. Moreover it also involves less overhead expenses and staff. In the initial days you may also have to put in a lot of effort to establish your name and customer base. If you are planning to start your own food truck business, then there are a few basic tips that you need to keep in mind at the start up. Find the right food truck you need – This factor depends on our affordability. You can purchase and design a new one or you can also get a second hand remodeled. In both cases you may have to invest some amount of money in purchasing and remodeling. Secure commissary – As it is a restaurant business, so it is important for you to dispose kitchen waste securely. You also have to ensure that the dirty water is dumped securely. Apart from this you have to learn to maintain perfect hygiene so finding commissary may not be an easy task. You can collect recommendations from your friends or peers. Show your creativity – This is a business which demands you to be more innovative to succeed. Try and craft a menu that is interesting but simple. It should offer food that most customers prefer having. Select right place to cater – it is important to make the ideal selection of location for doing business daily. You can select play grounds, office zones, industrial zones, schools, university campus, residential areas etc. Apart from this you also have to select right time of the day to set up your business in any location. This would depend a lot on the type of catering service you are offering. Network your customers – Being creative is just not restricted to preparing food, you also have to be creative to collect more customers. You need to focus on latest trends for marketing your services including social media, personal groups or events. Be polite – When operating any business the key to success is being polite to your customers and others. You need to keep in mind that anyone can be your customer so speak politely. Local laws – As you are offering with food services on wheels so it is important to follow all local regulations of traffic system. You have to select a place that is legit for your business. It is obvious that you need a lot of equipments and accessories to run the business. Some of them can also be custom built, but depending on the type of business you are providing. First and most important are the work tables that you have to install inside the truck. You can select from amongst different size with folding racks and trays. You also need to invest money in dish wash and hand wash sinks that is useful for cleaning kitchen wares and other things. For any food truck, no matter what you serve, you may have to purchase refrigerator unit. Your selection can be made from amongst different type single or double door or even under the counter type. Apart from this you may also need to purchase cooking range, microwave oven, grillers and griddles, fryers and smokers. These are important accessories for cooking, grilling and baking. You may have to invest money in kitchen utensils, including spoons and knife sets. You can also try and purchase disposable glass and plates. As your business is related to cooking, you may need to hire professional chef who can cook for you. You also need assistant chef for cutting, and decorating or performing other duties. A cleaning and serving staff is must if you can afford and a professional driver. You have to ensure that you are having all permits and license. You also have to register for paying tax amount to the government. So apply for Tax ID and your ID number. Next you have to approach the local authorities for application of business license. This means you need to apply for legal restaurant business. You also have to apply for local license and health permits. You may also need to file for incorporation in case you are operating on partnership basis. It is important for you to get registered as a business entity legally. 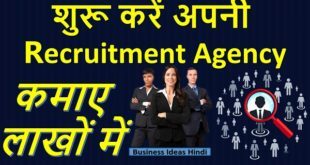 As you may be hiring few employers so it is also must for you to get employers requirement forms mentioning the status and role of each employee you hired. To legally park the vehicle it is obvious that you need to get a legal permit from authorities. You may not park legally as you want in public places. As per the local regulations it may not be possible for you to do your business in most of the crowded places. Some authorities may also not permit you from doing business in public parks and other places of gathering. You have to make the selection of ideal location depending on legal factor. A business area, public spots, event halls, festival grounds and other places where you can find good gathering of people can be ideal locations. A tourist spot or place of visit is also best but you have to check with local authorities before selecting. A place that is next to a college or university campus or a school building may also be ideal. Office work zones are genuine places to set up your business during the day time. In most cases your business may not need much marketing strategies. Your banner on the truck is going to spread your business name to place were you travel. You have to try and gather your network. So one of the best ways is to make use of your social media network sites and linked accounts or even tweets. You can also tweet and let your customers know the spot where you will be heading for any particular day. Apart from this you can also speak within your group and relatives and post photos on your social media account. You have to decide the investment depending on your workable budget and the money you are willing to invest. New truck would definitely cost much more as compared to used one. A used truck can easily be purchased for around RS 1,30,000 to 2, 00,000 while a new truck would cost you around Rs 65,00,000. Apart from this you may also have to invest money in purchasing additional accessories and equipments. Some amount of money will also be spent on purchasing permits and license. If you are hiring staff then you may also have to invest initially for salary and uniforms. As the business is a type of restaurant business so you can expect over 50 to 60 percent profit, depending on your working factor. You may have to plan your daily schedule well to generate healthy profits. Just like any other business there are a few risks involved like maintaining right quality of food, hygiene and other facilities on board. You also need to take care that you have a very safe driver. As you are going to use ovens and burner, so, all possible safety measures and equipments have to be available on board your truck. 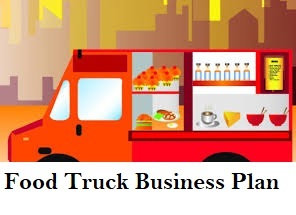 In present time, Food truck business is also considered as one of the latest trends. Many people are investing money to open their food truck business and the demand in the local market is also growing every day. Your earnings solely depend on the quality of food you prepare and the type of services you give to your customers.